Apple CEO Tim Cook once again touched on the topics of augmented and virtual reality during a Q4 results call, avoiding specific talk about future hardware while hinting at the company's approach. 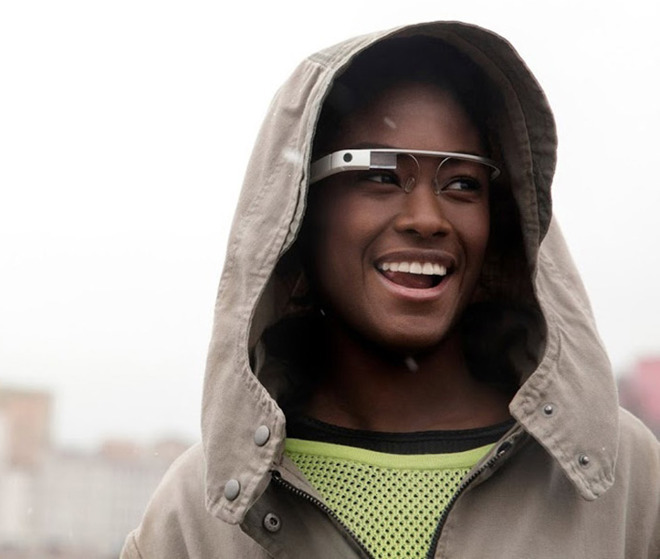 Google Glass, a precursor to modern AR technology. "In terms of monetization of AR/VR, we focus first and foremost on customer experience," Cook said in response to an analyst question. "We're all about making sure the customer experience is great. We think if we get the experience right, revenue and profits will follow. We're very much focused on the experience right now." The executive called AR "profound," but actually downplayed the first ARKit apps appearing on the App Store. "I view AR as profound. Not today, not the app you'll see on the App Store today, but what it will be, what it can be, I think it's profound, and I think Apple is in a really unique position to lead in this area," he said. Cook in fact claimed that AR will "change the way we use technology forever," and that "it should be a help for humanity, not an isolation kind of thing for humanity." Apple has been extremely secretive about its long-term AR plans, but has neither confirmed nor denied rumors that it's working on AR glasses. The company has allegedly been experimenting with several different kinds and has yet to settle.